Confession: I just adore the age my kids are at right now. At four, Charlie is so curious about his world and his brain never stops firing off new questions. Every evening when I pick the boys up from daycare, he asks, "Is tonight a work night?" and every Friday I have the distinct pleasure of telling him, "No, bud. Tomorrow is Saturday and what do we do on Saturdays?" 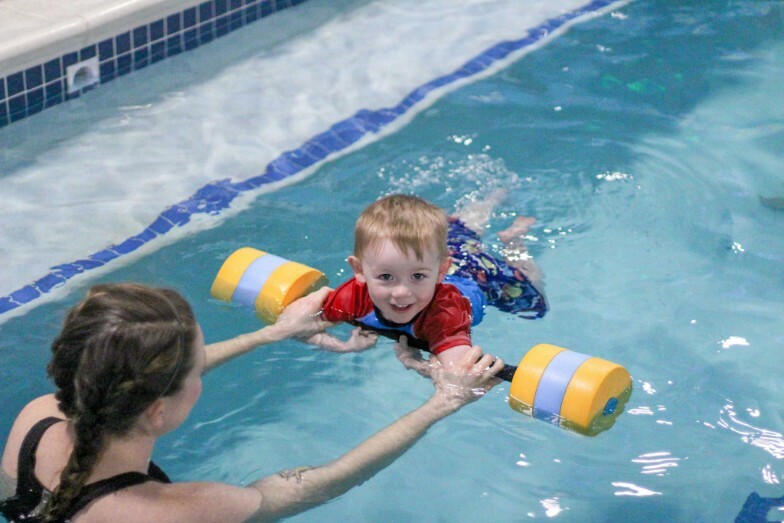 To which he enthusiastically (read: screams) replies, "We have swim lessons!!!" We took some time off from our swim lessons when my Dad passed away at the end of October. 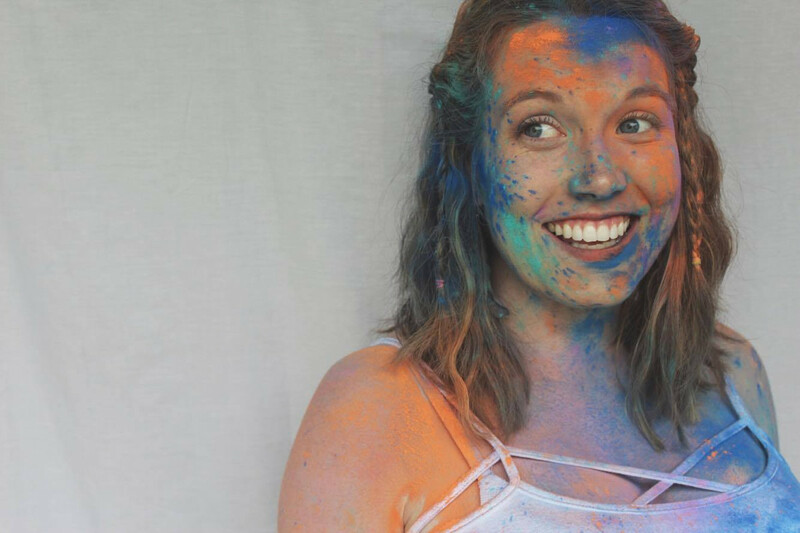 Between dealing with the grief of losing my Daddy, our Pre-Thanksgiving trip and the holidays, there was just too much on our collective plate. 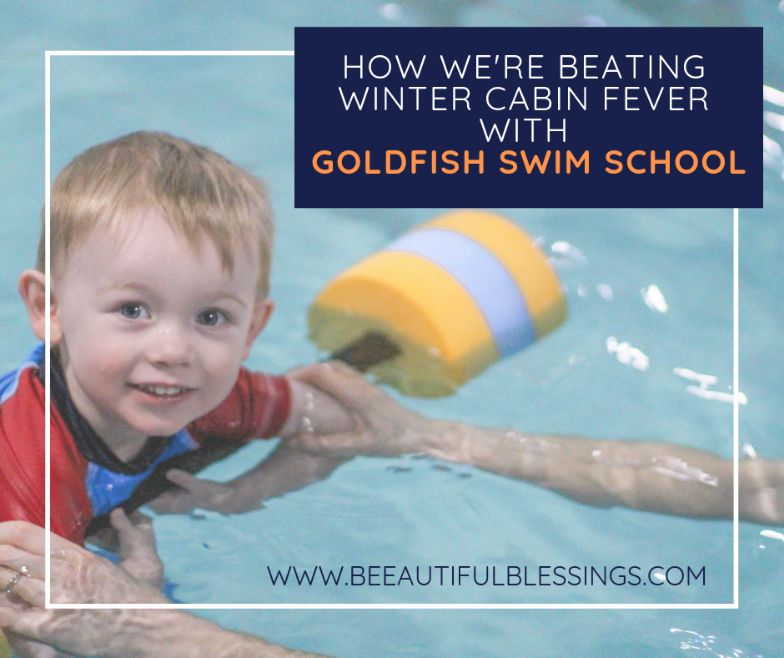 The staff at Goldfish Swim School- Dayton couldn't have been kinder when I requested some time away, as well as when I told them we were ready to come back in December. 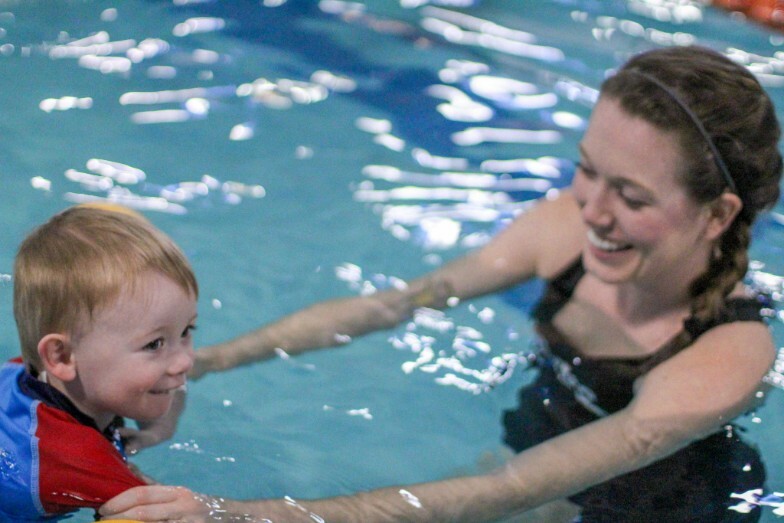 We've definitely had some challenges in terms of weather the last few weeks (hello, #PolarVortex), but it appears that the worst is behind us and we have been thoroughly enjoying our weekend tradition of swim lessons as a family. It should come as no surprise that my boys are the most high-energy beings of all time (that's not hyperbole, I actually believe that may be the case). Winters are tough for our little Energizer Bunnies (and their parents who struggle to keep them from destroying the house!). Because we live in a small town, our opportunities for engaging in physical activity outside of our nightly tradition of chase, tickle fights and playing what Charlie refers to as "Hulk Smash" are incredibly limited. Enter: Goldfish Swim School. We've been taking lessons there for about a year and a half and I genuinely don't know what we'd do without them during these winter months. Not only do we get some family bonding time, but it eases my Mama soul to know that the boys are getting some exercise (and learning a life-saving skill to boot) rather than being cooped up inside for months on end! 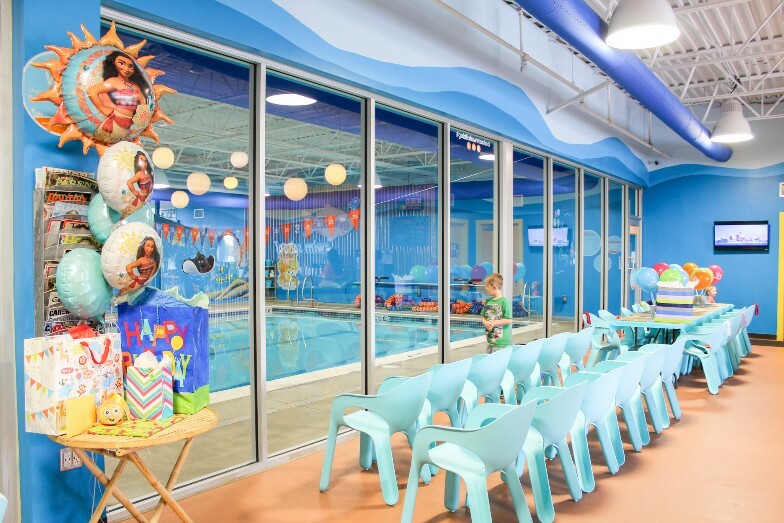 Crosby and I do his "Mini 2"-level classes in the pool together while Charlie goes off to his own "Junior 1" class where he continues to practice his sea otter (back) and octopus (front) floats and has started swimming underwater! 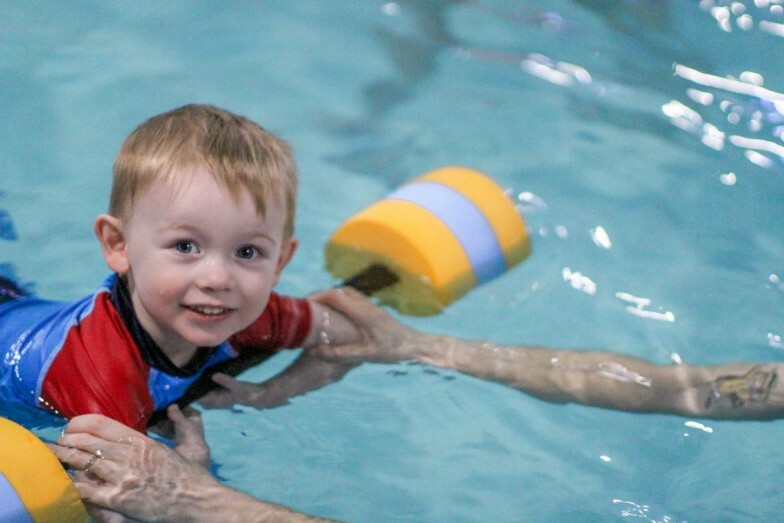 He's still very reluctant to swim without the help of his instructors, but that's why I'm so glad we have a weekly routine established. 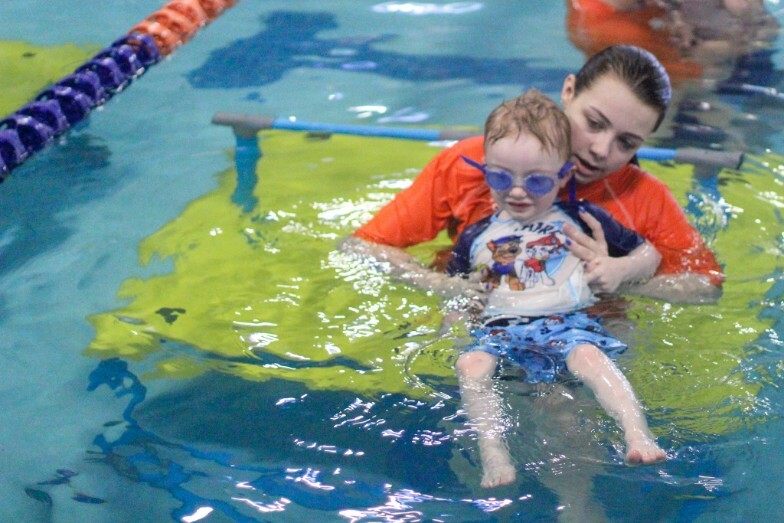 His teachers are so patient with him and I'm hopeful that this summer might finally be the time when he feels confident enough to let go and know that he can swim on his own! I'm so thankful we have an outlet for all the physical energy of these precocious little toddlers! If you're facing the winter stir crazies in your house, I can't recommend getting your babes in the pool enough. Summer is just around the corner and right now is the perfect time to dive in!